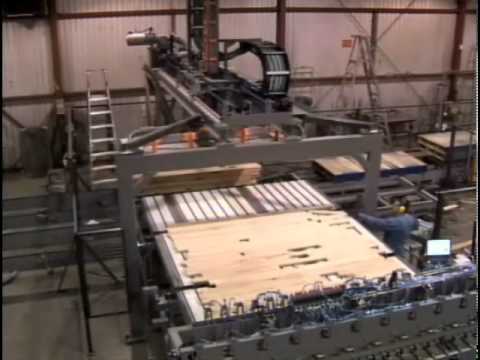 The MANYX stacker/destacker is an equipment that allows to feed lumber without operators in many types of woodworking equipment like moulders, planers, CNC routers or optimizing lines for example. The MANYX destacker is an equipment that allows you to feed lumber without an operator in many types of woodworking equipment like moulders, planers, CNC routers or optimizing lines, for example. 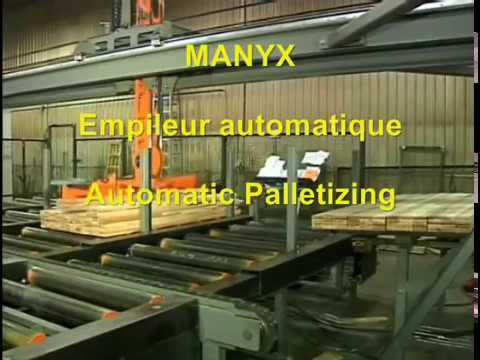 The MANYX can feed and separate layers of incoming lumber bundles, with or without sticks, random widths and lengths or even some profiled boards depending on the final configuration. 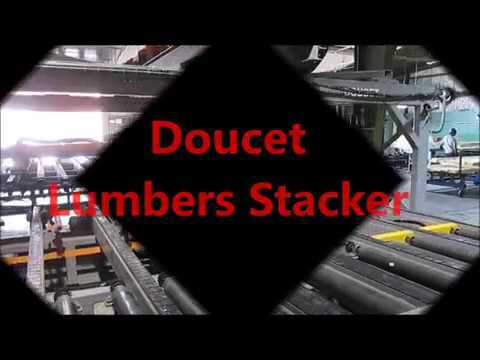 The MANYX stacker can also be designed to stack material coming out from a finishing line or in palletizing operations in nested flooring applications. 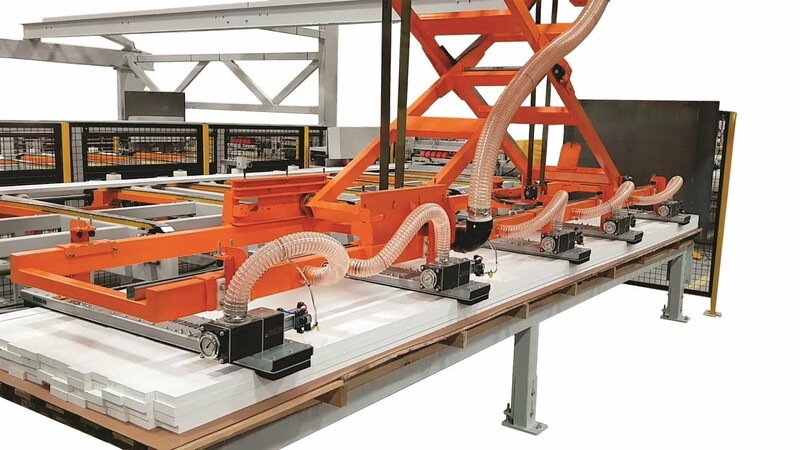 The MANYX system features an overhead structure on which a carriage head is moving on the horizontal axis. Vertical axis movement of the carriage head is guided by linear bearing rails along the center post. The lifting device can be equipped with self-centering clamps or vacuum pick-up heads or cups, as needed. Since the carriage head is not height limited, it means the bundle height can be higher than the nominal working height. Finally, the MANYX system can be provided as a part of a full line project or as a single piece of equipment. 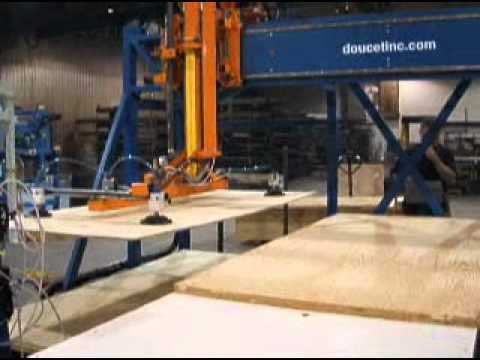 Every MANYX is sized to the required production level of the application in board or layers per minute. A maximum rate of six full layers per minute is possible.